One set of 8 assorted appliques, made from quality cotton fabric with an iron on backing. 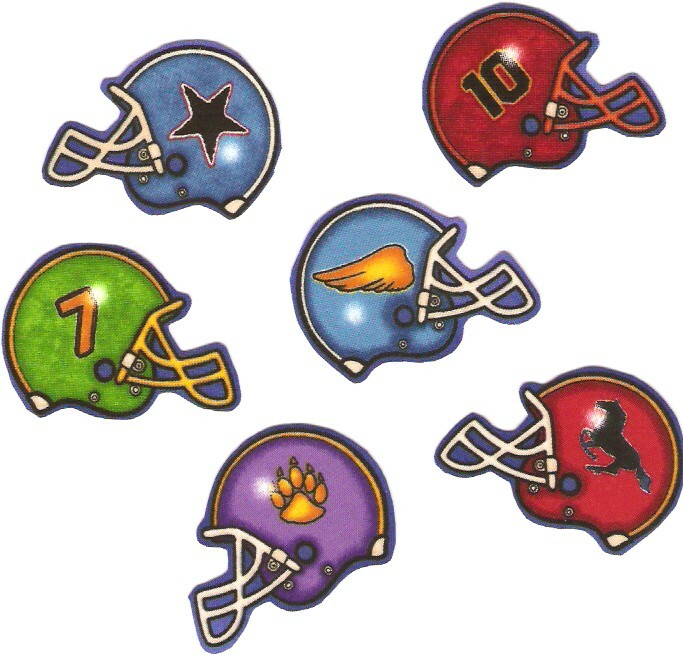 These little football helmets are in assorted colors and designs. These would make great t-shirts, sweatshirts, duffle bags..or you could decorate a room by using these on pillows, quilts, sports towels, kids curtains�.the possibilities are endless. 2 1/2"